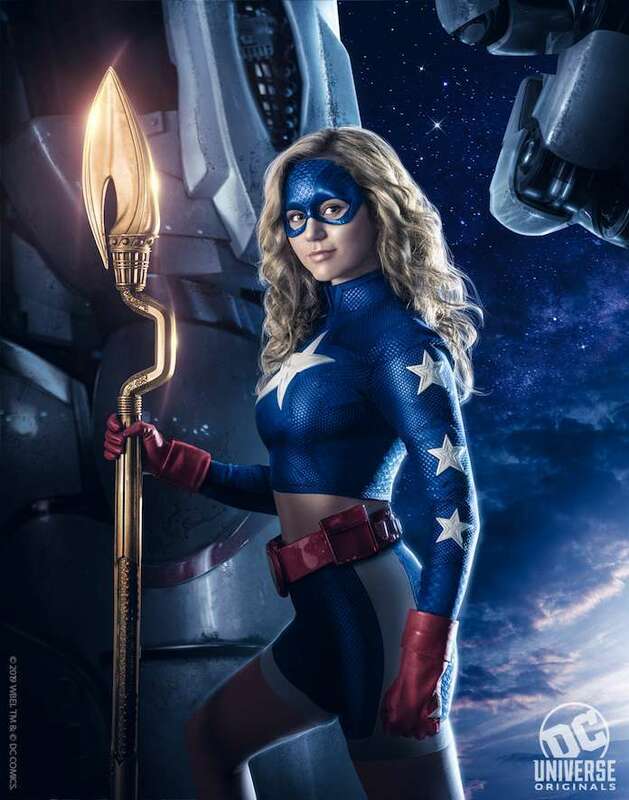 According to her official character bio, Courtney Whitmore (aka Stargirl) is smart, athletic and above all else kind. This high school teenager’s seemingly perfect life hits a major speedbump when her mother gets married and her new family moves from Los Angeles, California to Blue Valley, Nebraska. Struggling to adapt to a new school, make new friends and deal with a new step-family, Courtney discovers her step-father has a secret; he used to be the sidekick to a superhero. “Borrowing” the long-lost hero’s cosmic staff, Courtney becomes the unlikely inspiration for an entirely new generation of superheroes. Besides All Night and School of Rock, Bassinger has played roles on The Goldbergs, The Haunted Hathaways, and Code Black as well as the feature film Liar Liar Vampire. Early in her career, she played the role of Bella on Bella & the Bulldogs for Nickelodeon. Upcoming projects include Status Update with Ross Lynch (The Chilling Adventures of Sabrina) and Olivia Holt (Cloak & Dagger), and Saturday Night at the Starlight with Abigail Breslin (Zombieland) and Michael Madsen (Sin City). Greg Berlanti, Geoff Johns and Sarah Schechter are executive producers of Stargirl, which is based on characters from DC which were created by Geoff Johns. The series is produced by Berlanti Productions and Mad Ghost Productions in association with Warner Bros. Television. Johns is writing the first episode. Stargirl, which also stars Luke Wilson, Amy Smart, Joel McHale, and more, will debut on the DC Universe streaming service -- currently available for $7.99 per month -- in early 2020.